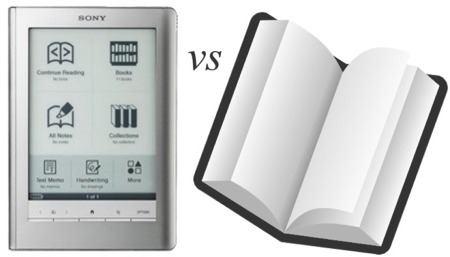 eBooks or paper books: which are better? Nobody is saying that you should, or will ever have to, give up reading paper books. When audio books came out, nobody was freaking out about how they’d be forced to listen to books from now on. Audio books just provide another option. The same goes for ebooks. Having more book format options allows us to choose the type of book we want for any particular situation. Obviously if you want to be able to listen to a book you’d choose the audio version. If you want a book that’s printed on paper, buy it on paper (and for that matter, don’t buy an ebook and expect to be able to print it.) If you want a digital version of a book, then buy the ebook. Prices – eBook pricing is currently a big issue, with many publishers moving to the agency pricing model. Consumers expect ebooks to be cheaper than their paper counterparts, but just like with paper books, there are many people who need to get paid for each ebook sale, and it is not as simple as it might seem. See this article for more information: Do The Major Publishing Houses Consider E-Books As A Threat To Their Profit Levels? Travel Books – Here is an interesting article on why travel books might be more useful when printed on paper. Traveling with Books – It seems that ebooks clearly win this one. If you have an e-reader, you can carry literally a thousand books with you on one device. Even if you only want to bring a few books with you, the one ebook reader will be significantly smaller and lighter than three paper books, saving you a lot of luggage space and weight. Highlighting and Making Notes – This one is probably depends on your own preference. eBooks allow you to highlight passages and make notes on pages just like you could do with a paper book. The big difference is that a paper book can become effectively ruined when you write in it, if you’d planned on re-selling it in the future (or if you just want a clean book with no markings). Speaking of Re-selling – It is not likely that you’ll be able to sell an ebook to someone else after you’re done using it, because most publishers sell their books with DRM that prevents this. And Speaking of DRM – When you buy an ebook, most of the time you have to register/authorize your ebook software, which ties the ebook to your account. You can read the ebook on multiple computers and devices, but you have to be careful to register or authorize each computer and device with the same account. Environmental Concerns – eBooks obviously do not require paper to be used for packaging or the book itself. However, an argument could be made in favor of paper books because discarded e-reading devices add to the problem of wasted electronic material. Delivery – eBooks can be purchased with no shipping cost, and buyers get to download the product immediately. If you want a paper book you have to either pay for shipping and wait for delivery, or travel to a store to buy a copy. Text size – eBooks allow you to shrink or enlarge the text of a book. The text of a paper book will remain the same size forever, of course. If you use ebooks and you’ve discovered other comparisons between ebooks and paper books, please leave a comment and share. Very interesting post. I particularly liked your objective response to lots of different elements of the debate between eBooks and paper books.